Not thinking about your holiday gift list yet? Cindy helps get you started with a Knot Ready for Prime Time Lucky Knots and Friends Projects so you can get started now! Melanie shares her final Crystal Week necklace... a piece she calls Woodland Mermaid. Jean celebrates her favorite holiday by showing off her costume and some very cool baubles. 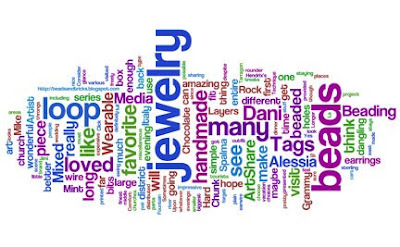 Jean reviews a delightful book by the editor of BeadStyle: Cathy Jakicic. Melissa shows off her favorite necklace created for Cynthia Thornton's Enchanted Adornments and winner in the metal clay category of the British Bead Awards. It's like Wal-Mart, only you want to be there in this virutal tour of Shipwreck Beads. Art Bead Scene is having a book fair. Read up on your favorites! Carmi has finally discovered how great polymer clay is.